Skyform Specialist currently undertake multi-discipline roofing, structural/concrete and fabric repairs to buildings utilising their bespoke cradle/rope access systems. Skyform Operatives are trained in many remedial requirements in line with legislation and best practise in an effort to prolong the lifespan of property for their clients. 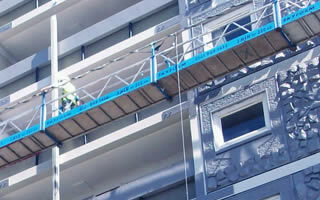 Skyform Operatives are familiar with the repair and maintenance required to the external fabric of houses/multi storey flats and the waterproofing/concrete repairs to associated roofs/balconies. Our experience, consistent approach and quality workmanship has proven successful in allowing us to position ourselves strongly in this challenging market place to allow us to offer a wide variety of these multi-disciplined services for our clients assets. 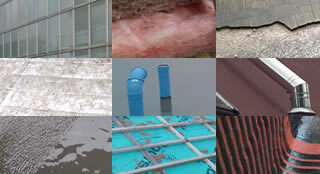 Skyform Specialist is a member of the NFRC and is also a Liquid Plastic Quality Approved Installer of most of the industries recognised known Liquid Plastic Roofing Systems, Skyform is continually training their experienced operatives in the use of new materials in order that they have the most relevant qualifications to assist in the various types of remedial roofing required for each property. Skyform are at home refurbishing swimming pools, rough-casting buildings or fitting window and door replacements at ground level or from their bespoke suspended access cradles. Skyform desire their fitters bring something new to the Specialist team to enable us to meet our goals of ever strengthening our position in the marketplace. We continue to develop old and new recruits who have come through our service centre as we find they possess the fundamental knowledge of Building Refurbishment works and the procedures required. 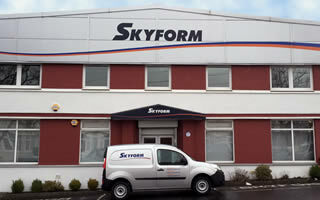 Skyform Specialist are able to deal with both Social and Private Owners to help with a range of solutions. Skyform Specialist is part of the Skyform Group, a company with a multitude of operations in several sectors of the construction industry. These projects help illustrate the multi-disciplined nature of Skyform Specialist.